Founded upon multicultural origins, dàntà (Chinese: 蛋挞) are small, round pastries filled with a rich and silky center. The tart’s crust can either come in Hong Kong style crumbly, biscuit-like crust or Macau style thousand-layer form. In Shanghai, the latter version is commonly sold out of heated glass boxes for 3.5 yuan each. Their custard has a buttery center with a bruleed top, and its crust is light, crispy and flaky. To make the dough, mix lard, butter, eggs, and flour. The egg custard filling consists of egg, evaporated milk, sugar, and water. First, combine the lard, butter, eggs, and flour and allow it to sit in the refrigerator. 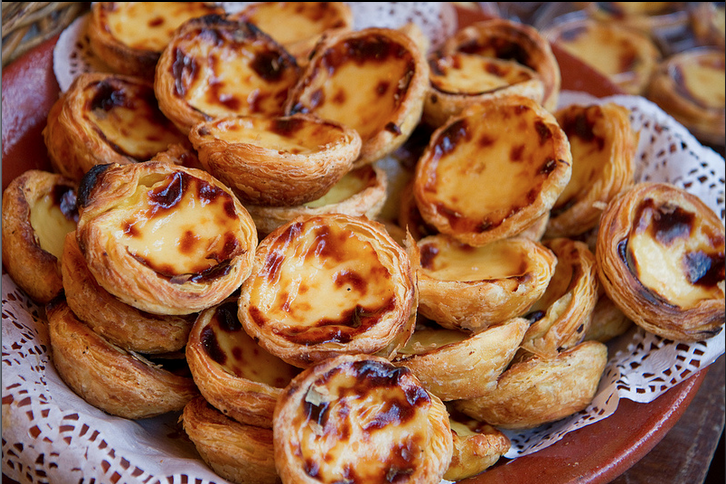 The Portuguese-style egg tarts are called pasteis de nata. They were introduced to China after gaining popularity in Macau when the Special Administrative Region was under the Portuguese government. Since the 1990s, Fast food chains like KFC and Dominoes have adopted dan ta along with other Asian food items to their western menus.